Have you seen teal colored pumpkin baskets on Trick-or-Treat nights? They have a special purpose. The Teal Pumpkin Project, sponsored by Food Allergy Research and Education (FARE), is part of an awareness effort to provide non-food treats for kids with food allergies. All children should be able to experience the happy tradition of trick-or-treating on Halloween. But kids with food allergies are either left out or at-risk, since a lot of candy contains allergens. One in every 13 children have food allergies. FARE’s Teal Pumpkin Project helps ensure all children will get some sort of treat. Last year, households from all 50 states and 14 countries participated. This is a worldwide movement to create a safer, happier Halloween for all trick-or-treaters. Place a teal pumpkin in front of your home to indicate to you have non-food treats available. Display a free printable sign from FARE to explain the meaning of your teal pumpkin. Sure – just do it safely! 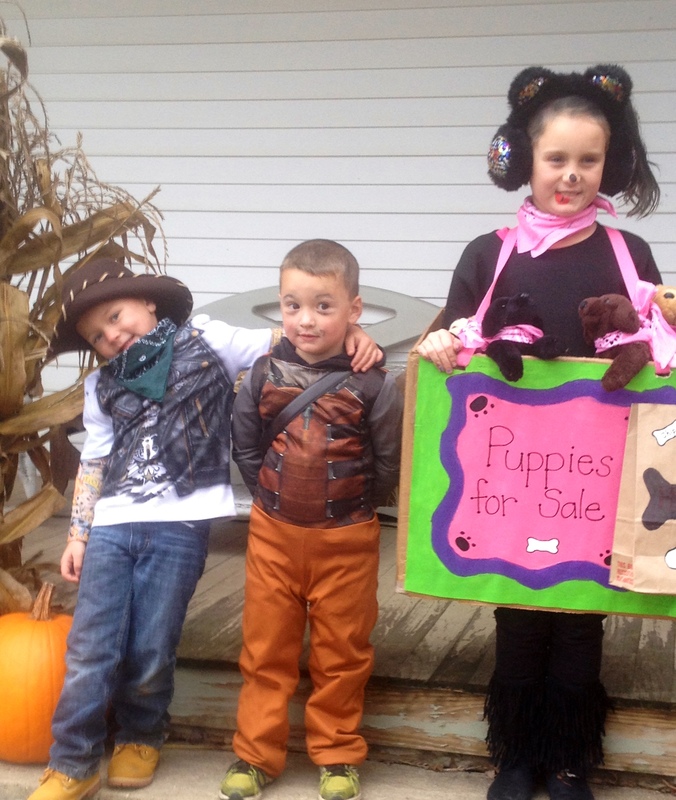 The point of the Teal Pumpkin Project® is to make trick-or-treating as inclusive as possible. You can keep the experience safe by keeping your food treats and non-food treats in separate bowls. You can join the Teal Pumpkin Project to help create a safer, happier Halloween for all kids. Many of us will see trick-or-treaters visiting our neighborhoods this week. When you do, consider starting a new Halloween tradition. My sister, Debbie is a great hostess for trick-or-treat night. She fixes a big pot of chili with healthy beans, lean beef and tomatoes. As the soup simmers, family members can stop in for a bowl of soup and some veggies before hitting the streets. 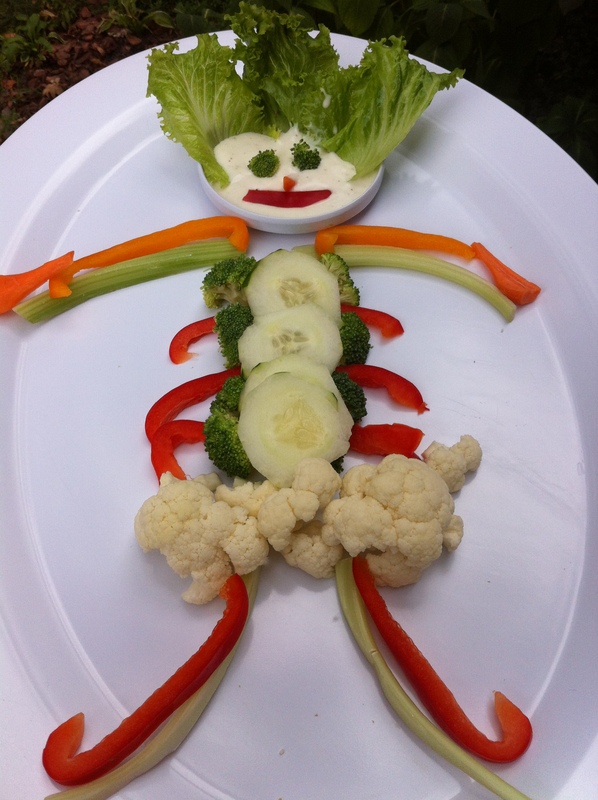 A fun veggie tray encourages everyone to try a veggie dipped in reduced fat ranch dressing. The kids and their parents have a healthy meal to get them started on their journey. 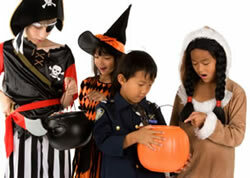 • Offer Halloween toys, stickers, glow sticks, pencils, or erasers. • Offer small balls, bubbles, modeling clay, plastic spiders, bugs, skeletons or sidewalk chalk. • Offer fruit cups, 100 % juice boxes, nuts, trail mix, graham crackers, or raisins. 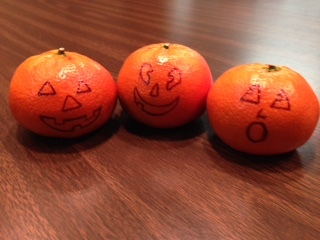 • Offer small Clementines with a pumpkin face for an added surprise. Did you know? A research study from Yale University found that children are just as likely to choose a small toy as candy when offered both of them. Given the choice between lollipops, fruit flavored candy, tart hard candy and stretch pumpkin men, glow in the dark insects, Halloween-themed stickers and pencils, 50% of the children chose the toys. You may have your candy stash ready to go for this year but I challenge you to visit the store after Halloween and pick up some of the non-perishable ideas to offer next year. Oftentimes we can get post-Halloween items at 50 -90% off! Purchase these for savings next year and store them in your box with your Halloween decorations (if you have one) or in the special place that you can easily find when it is time to buy candy for next year. You may be surprised at the savings you see! You don’t have to stop offering candy but consider adding some healthy alternatives. Did you know that the average Jack-o-Lantern Pumpkin contains 250 pieces of calories equaling about 3 pounds of sugar and 9,000 calories? Let’s make that number closer to 100 pieces of candy next year! That’s enough of a treat for anyone. 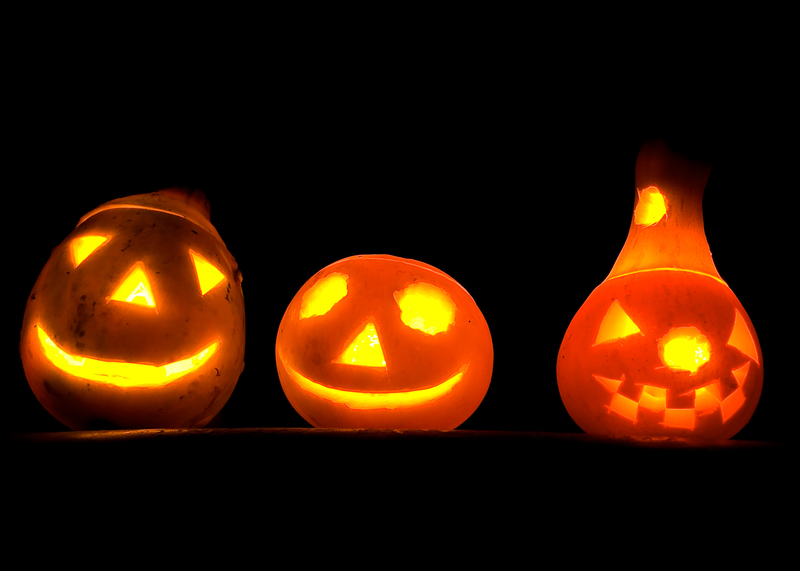 Can you start a healthy Halloween tradition? Photo Credits: Debbie Klinger, Pat Brinkman and Michelle Treber. Autumn holidays like Halloween and Harvest Day are fun times for children of all ages. They can dress up in costumes, enjoy parties, try fall fruits and vegetables and eat yummy treats. These celebrations also provide a chance to give out healthy snacks, to be active and to focus on safety. Avoid trick-or-treating alone. Always walk in groups or with a trusted adult. 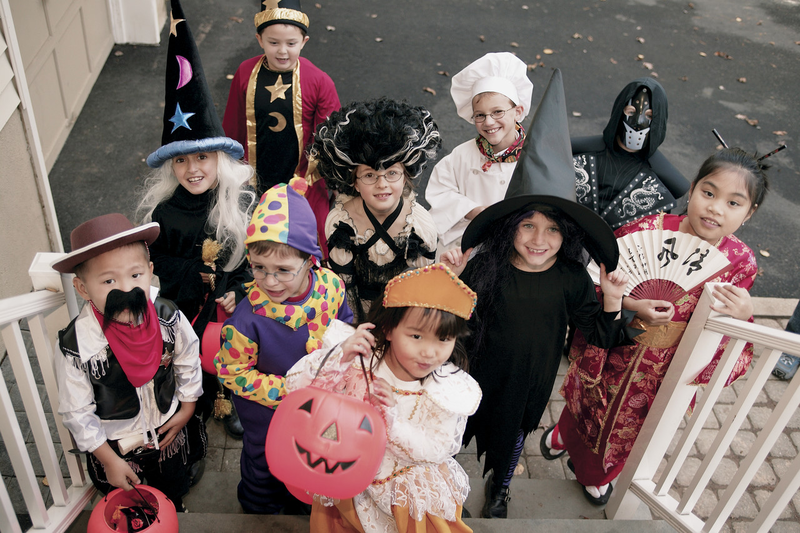 Hold a flashlight while trick-or-treating to help you see and others to see you. Always WALK; don’t run from house to house. Wear well-fitting masks, costumes, and shoes to avoid blocked vision, trips and falls. Enter homes only if you’re with a trusted adult. Only visit well-lit houses; don’t stop at dark houses; and, never accept rides from strangers. Written by: Polly Loy, Extension Educator, Family and Consumer Sciences, Belmont County. 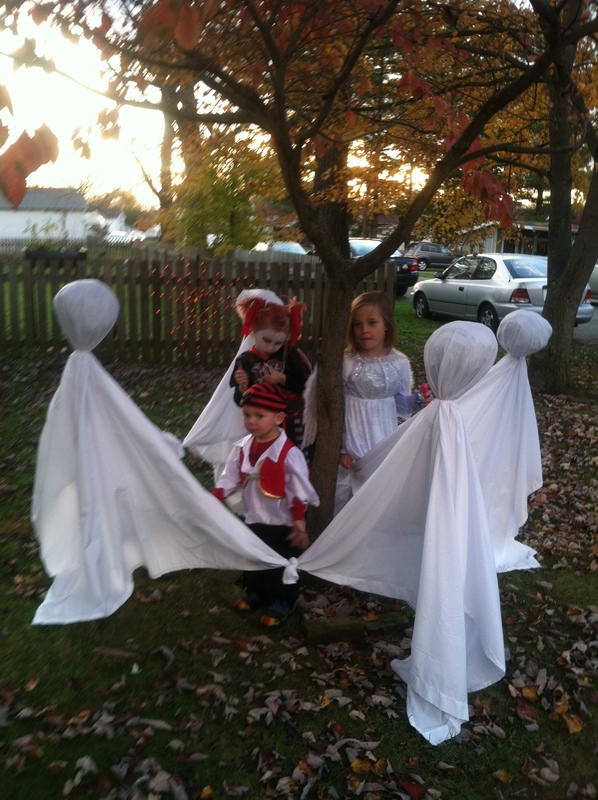 Hallowee n is right around the corner and can be a fun filled family time. My sister has an open-house event, complete with healthy chili cooking in the crock-pot and the adults dress up to pass out the treats. It is fun to see the surprise on the faces of the kids when they see the adults dressed up! Treats are part of the fun but perhaps this year you will share a non-sweet treat with those who visit your house. Kids will get plenty of candy and may welcome this change of pace. Small packages of crackers can be great for those tiny Halloween participants; even toddlers can safely enjoy a cracker snack. If you must give out candy, pass out a miniature size. Even if you pass out two, it will be a smaller amount than a full-size candy bar. Enjoy walking around your neighborhood and visiting neighbors while participating in this fun fall event. You’ll get some physical activity which can help off-set the extra calories you may consume from snacking on sweet treats. When you get home from your Halloween adventure, laugh with your kids as you enjoy a piece of your favorite candy. If you are lucky enough to get some non-food treats, such as spider rings, tattoos, pencils, or pens, place them in their own special pile. You may find that your favorite goblin enjoys those treats as much as the candy. When enjoying your treats, remember to do so in moderation. Your candy can last until the New Year and it is OK to throw some of it out! Writer: Michelle Treber, Family and Consumer Sciences Educator, Pickaway County, Heart of Ohio EERA, Ohio State University Extension. Source: Academy of Nutrition and Dietetics, “Tricks to Enjoying Halloween Treats.” Retrieved 10-21-2013 from http://www.eatright.org/Public/content.aspx?id=6442458793.